Senate Majority Leader Chip Rogers, while serving as a freshman legislator, regularly oversaw production of promotional mailings that advertised over-the-phone sports handicapping services and an offshore casino. This article was produced collaboratively by The News Enterprise and Atlanta Unfiltered. Two Atlanta-area printing companies worked closely with Rogers between 1998 and 2004 to produce the promotional booklets, called Schedules USA, according to the former owner of one printer and a former employee of both businesses. 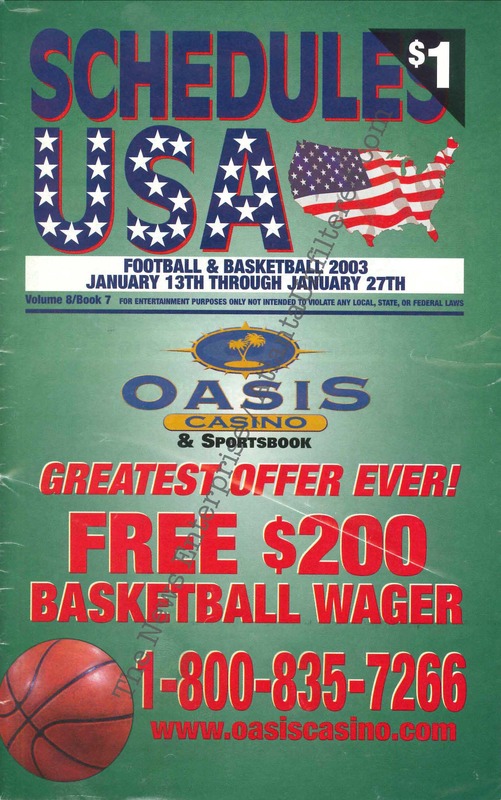 The booklets contained game schedules and extensive advertising for the online Oasis Casino & Sportsbook, based in Curacao, as well as ads for pay-per-call tip lines that offered gambling advice. Daniel Sneed, who handled the Schedules USA account as customer service manager for one printer, said he worked directly with Rogers to produce the mailers. “He was the guy who brought me stuff and then said, ‘Here’s what we want to print, here’s the files and here’s the list where they are going,’” Sneed said. Mark Roesler — who owned the second printer, the now-defunct Webwise Press Corp. in Decatur — said he can’t recall who paid to produce the booklets but remembers that Rogers managed the process. “Who placed the order, who dictated what happened, who told us where to send them, who directed the book and who brought the business was all Chip,” Roesler said. Rogers’ campaign staff on Monday acknowledged receiving a reporter’s questions about the publication but did not respond. Telephone messages seeking comment were not returned. Atlanta Unfiltered reported in May that during much of the 1990s, Rogers appeared in TV infomercials and on telephone hotlines, often as Will Rogers or Will the Winner, to promote paid handicapping services. Although Rogers claimed in one infomercial that he was selling picks made by “myself and my staff,” he later said he was only a performer reading a script for a client, OTM Sports. “I was hired to play a part on a TV show,” he told WSB-TV in May. 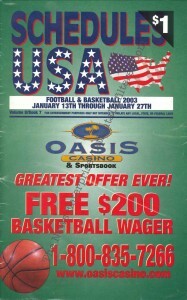 Although Oasis Casino was an advertiser on the show, Rogers said he had no idea it was a sponsor. But Rogers appeared to have a larger role with OTM and Oasis. Sneed and Roesler described a six-year working relationship with Rogers producing Schedules USA and its ads for OTM’s tiplines and the casino. Roesler said the relationship continued until 2004, when Rogers had finished his second year in the House and was running for a state Senate seat. The News Enterprise © 2019. All Rights Reserved.